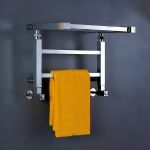 There’s nothing quite like a warm dry towel on a cold morning when stepping out of a bath or shower. 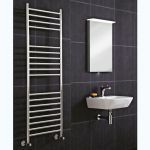 Whether you’re looking for a cheap replacement towel rail or a luxury step up from the commodity offerings on the market we have a selection of sizes and styles to suit all bathroom spaces. 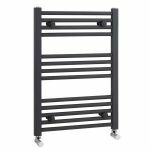 We have short models for the tiniest of spaces, for below a window, or consider hotel rack style at the end of your bath maybe? 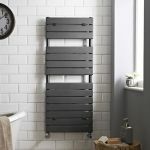 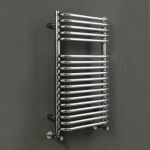 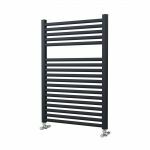 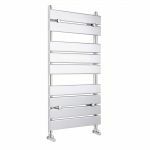 Also very popular at the moment because of their great towel storage are extra wide horizontal towel radiators. 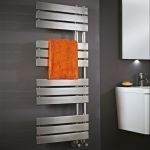 Lastly for something a little special look at our range of stainless steel towel rails, they’re light, exquisitely finished and energy efficient, designed to squeeze every little bit of heat from the smallest of sizes. 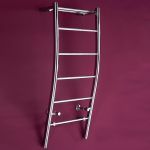 You might think that that a wall mounted towel rail only comes in chrome but you’d be wrong. 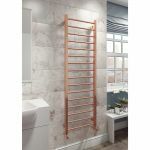 If you want to save a little money then consider a white finish or for something different why not look at our rose gold or anthracite radiators.